Challenge. SFN Group, a national recruitment and staffing organization, was looking to further engrain what had become its key competitive differentiator — its Service Excellence program focused on customer and candidate satisfaction — throughout its company culture. Solution. We developed an “internal” brand strategy that brought to life the practical applications and widespread impact of Service Excellence on customer service. The goal was to inspire and further engage employees in the company-wide effort. Tactical elements included a Webex launch, internal Service Excellence “blog” and HR recognition program. The Video was later edited and became a 30 sec commercial used both in broadcast mediums and online programs. Results. Communication tools developed for internal branding purposes were so well received they were quickly adopted as external branding tools. Tools tweaked to become an external product for both candidates and clinets. See the Service Excellence motivational video that was used across trade shows, business development meetings and later as television advertising for the organization. 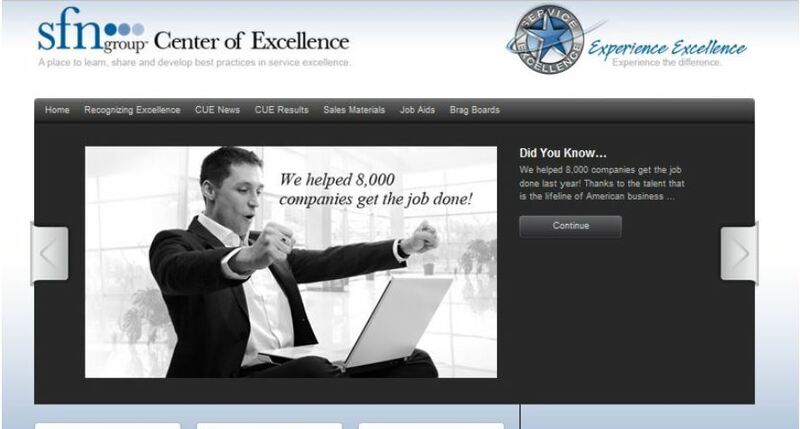 The company’s Service Excellence spokesperson participated in speaking engagements and webex conferences both within and outside of the industry on the topic of customer satisfaction. Online followers of social media campaigns and blogs reached thousands within just three months of launch. Healthcare New Business Launch Physician Leadership Compensation Survey.